More than 30% of the American senior citizen have gum cavities they never get treated. Almost 25% of the senior members (between 65 and 74) come with periodontal diseases. Almost 30% of the senior men and women have no teeth remaining. Did you also happen to know? It is not necessary that you will loose teeth because you are aging. Your mouth will change its shape and size as you grow older. Neglect your oral hygiene and you will surely experience life-threatening diseases. Your teeth nerves can get smaller. This will make them less sensitive and leave them vulnerable to teeth and oral care. These plans often come with large group of service providers. Senior citizens with dental health insurance have multiple options of dentists they can go to. The only drawback remains in patients need to pay the entire bill upfront. They can always claim their reimbursement later. These are also called PPOs, where fee negotiation happens with preferred providers. These are in-network providers who request only a certain part of the entire cost. The best part about PPOs are- you may also receive cost coverage at a less rate though. Partial coverage comes on certain restoration processes like crowns, root canals, cleaning tartars, deep cleanings, braces etc. You may have to pay certain amounts in copayments, deductibles or coinsurances, if your plan provides coverage. Removing deep caries and filling them with certain covers. Extractions or pulling out a tooth or two will require you provide coinsurance, copay, and deductibles. There are dental insurance plans for seniors that provide free cleanings and examinations twice a annually. Dentists will take regular x-rays of your teeth. Based on your dental plan, your x-ray may be fully covered or come with copayment. However, your mouth x-ray may ask you to partially contribute through copay, coinsurance, or deductibles. The most important thing about old age is to remain prepared for all health related emergencies. As Medicare may not cover all your helthcare concerns, you need to look around a little for the right health insurance coverage can be available for you. 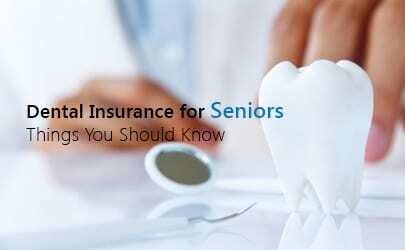 Dental health insurance for seniors is one such facility you need to arrange for yourself. It comes with lots of benefits that you can avail in case of your dental need. After looking at a handful of the blog posts on your web site, I really appreciate your technique of blogging. I bookmarked it to my bookmark site list and will be checking back soon.